"Draw & Code at Augmented World Expo 2015"
This summer you can find Draw & Code at Augmented World Expo 2015 where we will be exhibiting our exciting new immersive prototypes. The star of the show will be the stand itself as it is vividly brought to life by interactive projections. These are part of an immersive experience that connects virtual and augmented reality together across multiple devices and platforms. So what is the Augmented World Expo all about? It is the world’s largest gathering of immersive tech providers and developers, held in the heart of Silicon Valley at the Santa Clara Convention Center. From the largest names in the industry to the smallest, there will be 200 exhibitors and thousands of delegates all hoping to glimpse the future of technology. Presentations will be delivered from some of the leading thinkers in the field such as the father of augmented reality Tom Furness and the leading exponent of wearables Steve Mann. After successfully exhibiting at AWE in 2014, for this year’s event we wanted our stand to represent what Draw & Code is all about. As our name implies, we are all about bringing art and technology together, so we had to find a way to do this in our modest patch of the show. This meant incorporating our key technologies into the stand itself and then networking these technologies to create a unified, social experience. Forget solitary virtual worlds or one-dimensional projections – our pioneering techniques will allow AWE delegates to interact with our fantastic 3D experience simultaneously through different mediums. The Draw & Code stand at AWE 2015 will be illuminated by four Casio Ultra Short Throw projectors that will show a panoramic virtual world that can also be explored using a Samsung Gear VR headset or viewed in augmented reality using a tablet. All three mediums will be networked to create one immersive experience using technology that is under development by the boffins in our Liverpool studio. We will also be exhibiting Aspect, our augmented reality art viewer. Using an ordinary tablet, visitors will be able to bring artwork to life simply by holding up the device and viewing the art through it. We are fiercely proud of the Merseyside art scene, so once again we’ve chosen to show works by The Critter Shed, the Singh Twins and Stephen Chan – some of our favourites from these parts. And make sure you check out this fantastic video that shows Draw & Code’s exploits at the Augmented World Expo last year. Draw & Code can be found at stand 21 in the Experience Lounge, opposite Qualcomm. 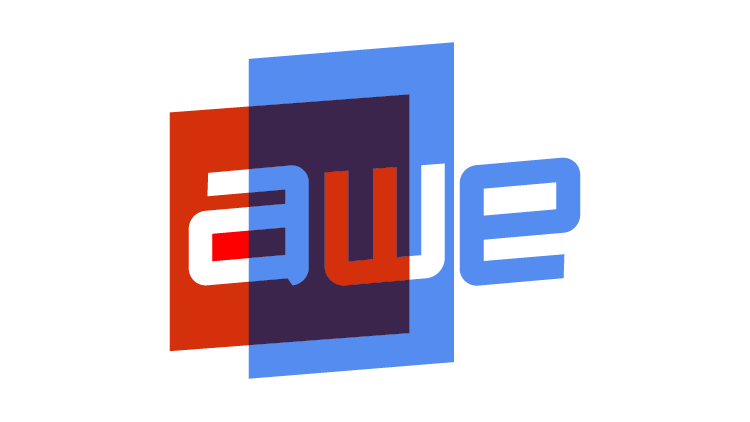 We are also sponsoring the free coffee at AWE 2015, which is rather apt considering our adventures with 92 Degrees Coffee. Luckily we can vouch that the coffee at AWE is top notch! If you are at the show then make sure you come and say hello. You can also use the form below to drop us a line and hook up with us while we are out in California. Photo courtesy of Craig Magee.